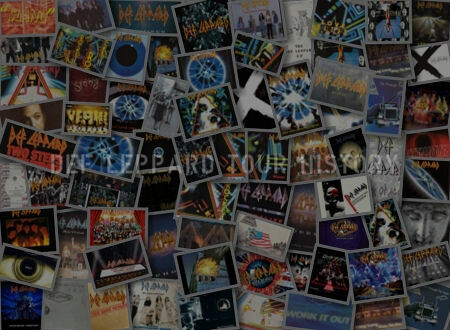 Archive news stories linked to the main news section for the Def Leppard 2018 tour. 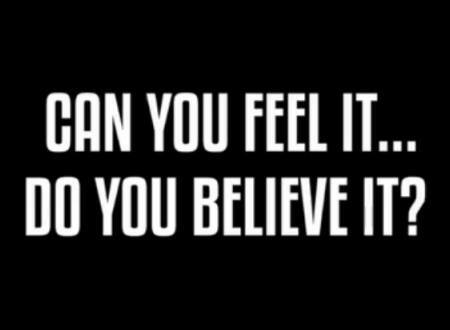 Subscribe to the mailing list. 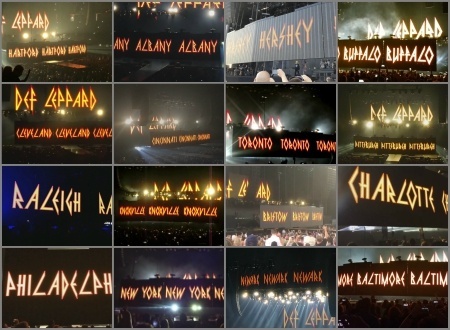 Def Leppard ended the fifth leg of their 2018 World Tour on 12th November and this story looks back all 11 shows. 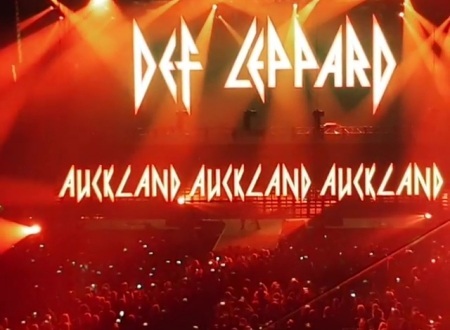 Def Leppard played another show on the 2018 Hysteria tour earlier today in Auckland, New Zealand with 17 songs performed. 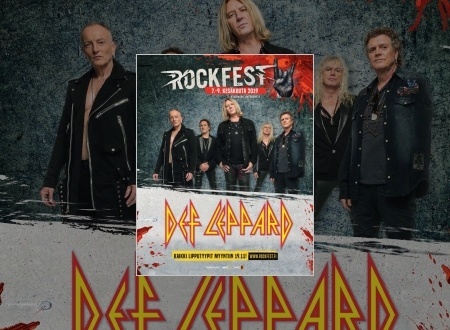 Def Leppard have been announced for the Rockfest festival in Helsinki, Finland in June 2019 during their 2019 European tour. 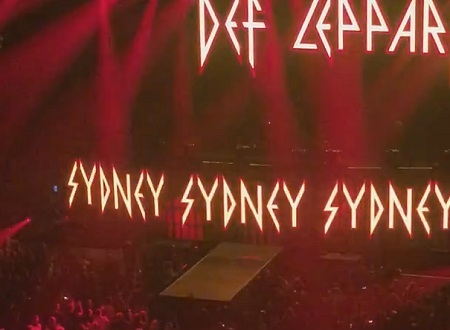 Def Leppard played another show on the 2018 Hysteria tour earlier today in Sydney, Australia with 17 songs performed. 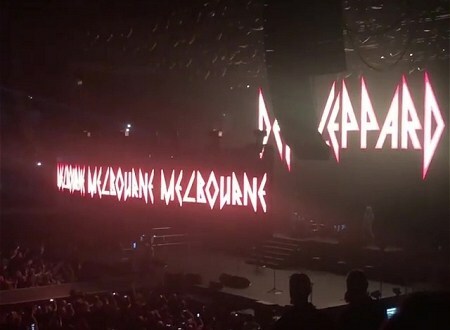 Def Leppard played another show on the 2018 Hysteria tour earlier today in Melbourne, Australia with 17 songs performed. 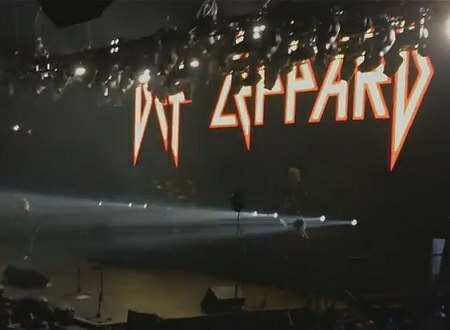 Def Leppard played another show on the 2018 Hysteria tour earlier today in Brisbane, Australia with 17 songs performed. 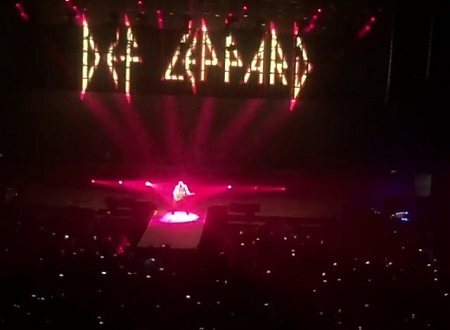 Def Leppard played another show on the 2018 Hysteria tour earlier today in Adelaide, Australia with 17 songs performed. 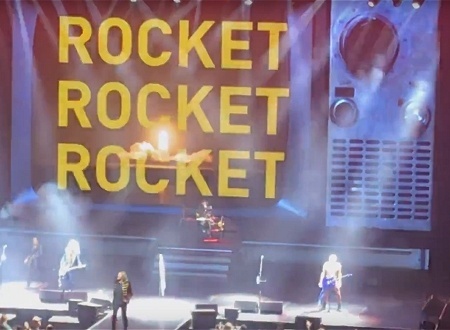 Def Leppard played another show on the 2018 Hysteria tour earlier today in Perth, Australia with 17 songs performed. 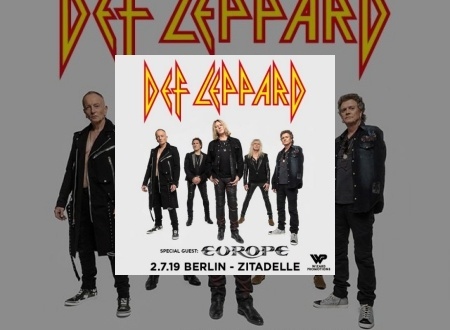 Def Leppard have today confirmed a new show in Berlin, Germany with Europe on their 2019 UK/European tour. 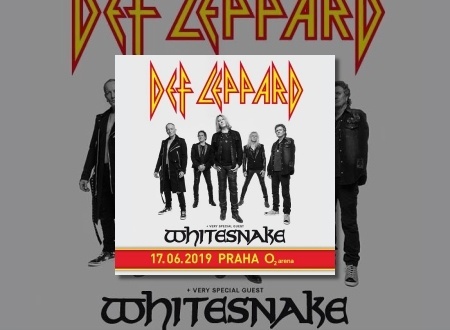 Def Leppard have today confirmed a new show in Prague, Czech Republic with Whitesnake on their 2019 UK/European tour. 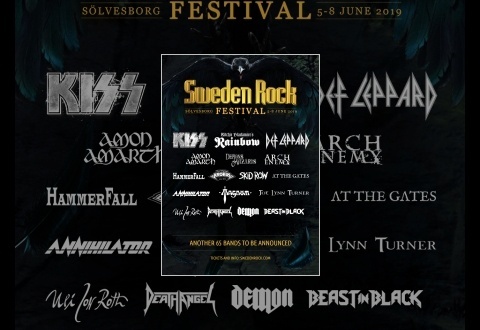 Def Leppard will headline the Sweden Rock Festival in June 2019 during their 2019 European tour. 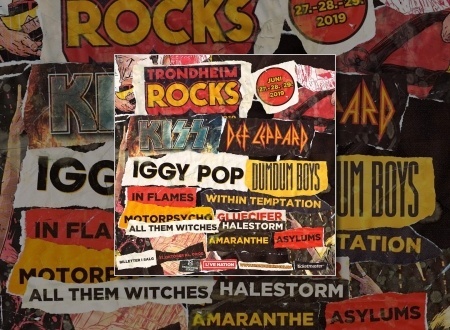 Def Leppard have been announced to play two festival shows in Oslo and Trondheim, Norway on their 2019 European tour. 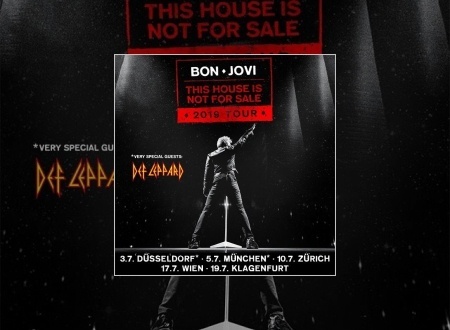 Def Leppard have been announced to play with Bon Jovi on their 2019 This House Is Not For Sale European tour. 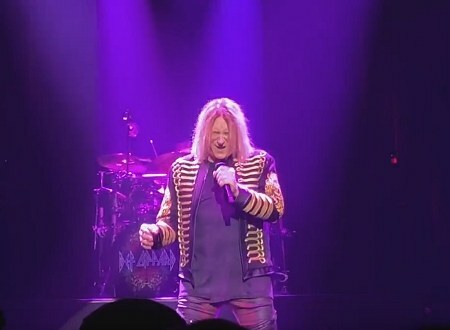 Def Leppard played another show on the 2018 Hysteria tour earlier today in Nagoya, Japan with songs performed. 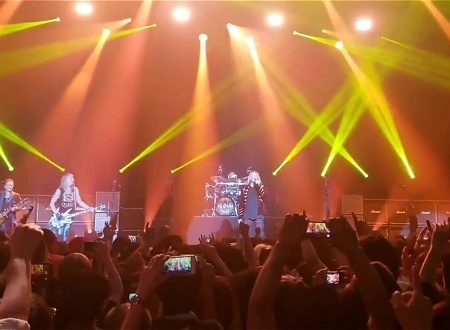 Def Leppard played another show on the 2018 Hysteria tour earlier today in Osaka, Japan with songs performed. 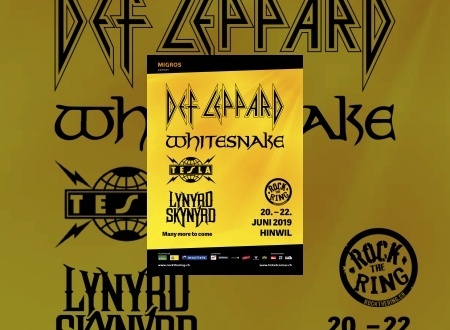 Def Leppard have been announced to return to Dessel, Belgium for a festival in June 2019 on their UK/European tour. 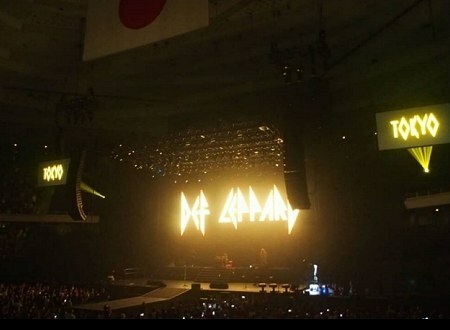 Def Leppard played another show on the 2018 Hysteria tour earlier today in Tokyo, Japan with songs performed. 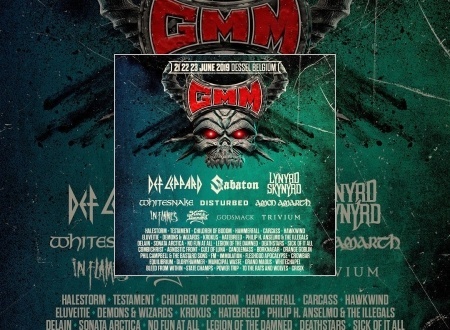 Def Leppard have been announced to play a festival in Switzerland in June 2019 on their UK/European tour. 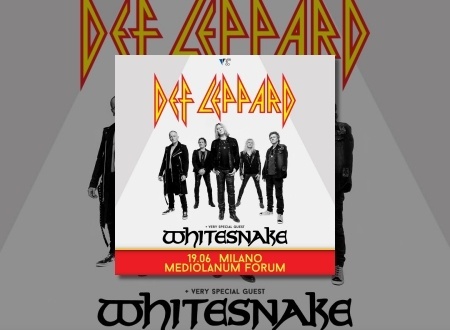 Def Leppard have today confirmed a new show in Milan, Italy with Whitesnake on their 2019 UK/European tour. 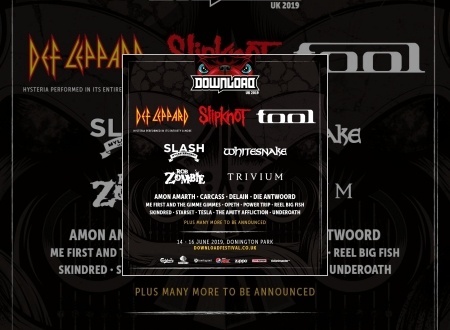 Def Leppard have been confirmed to headline the Download Festival in England as part of their 2019 UK/European tour. 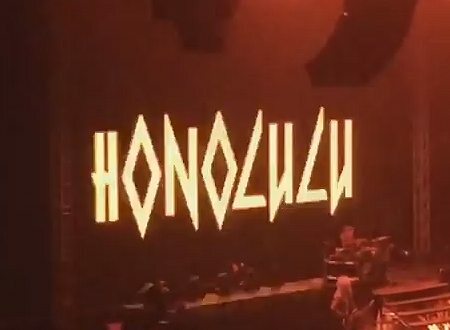 Def Leppard played another show on the 2018 Hysteria tour last night in Honolulu, HI with 16 songs performed. 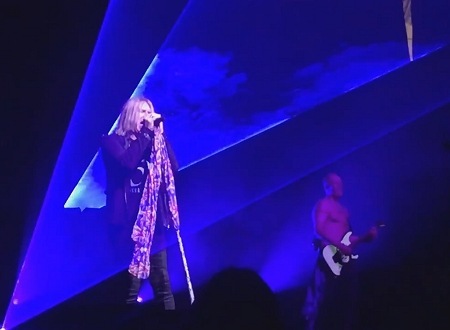 Def Leppard played the first show of the 2018 Hysteria tour last night in Honolulu, HI with 20 songs performed. 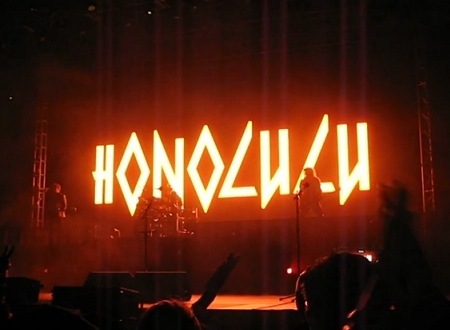 Def Leppard guitarist Phil Collen has been interviewed by Hawaiian radio and the full audio is available. 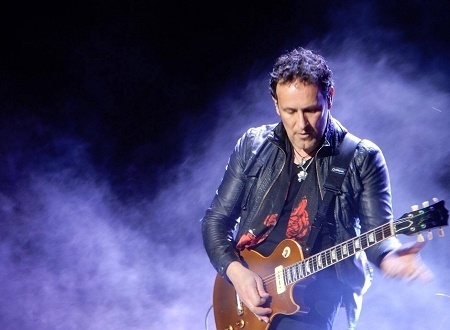 Def Leppard guitarist Vivian Campbell has been interviewed by the Australian press and mentioned the 2018 tour staging. 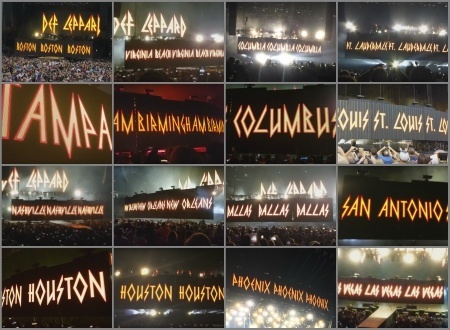 Def Leppard ended the fourth and final leg of their 2018 North American tour on 7th October and this story looks back all 11 shows. 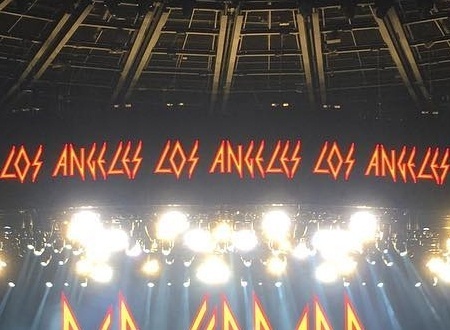 Def Leppard played another show with Journey on the 2018 North American tour last night in Los Angeles, CA with 16 songs performed. 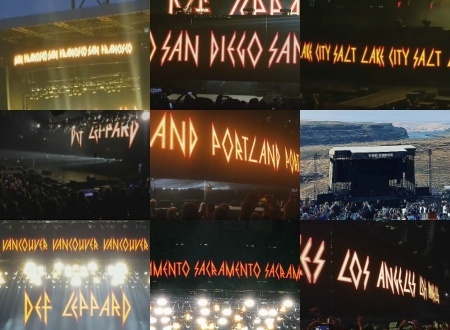 Def Leppard played another show with Journey on the 2018 North American tour last night in Sacramento, CA with 16 songs performed. 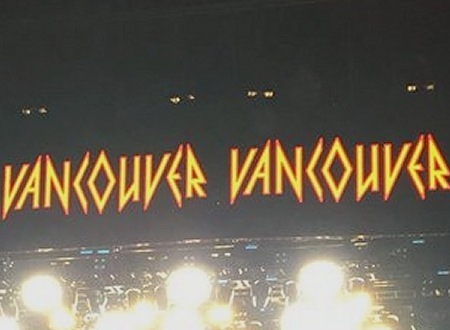 Def Leppard played another show with Journey on the 2018 North American tour last night in Vancouver, BC with 16 songs performed. 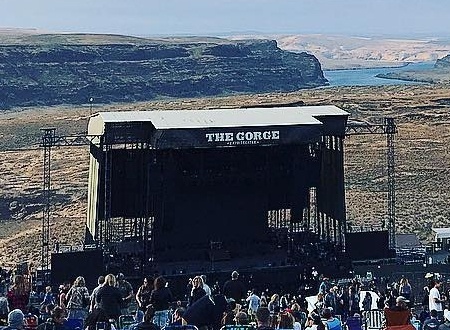 Def Leppard played another show with Journey on the 2018 North American tour last night in George, WA with 16 songs performed. 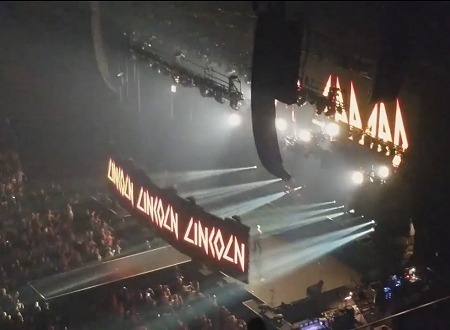 Def Leppard played another show with Journey on the 2018 North American tour last night in Portland, OR with 16 songs performed. 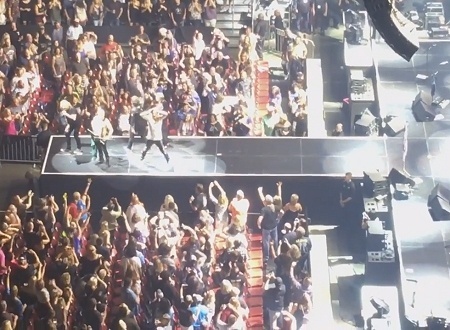 Def Leppard played another show with Journey on the 2018 North American tour last night in Boise, ID with 16 songs performed. 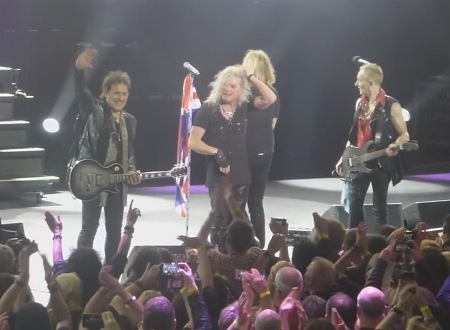 Def Leppard played another show with Journey on the 2018 North American tour last night in Salt Lake City, UT with 16 songs performed. 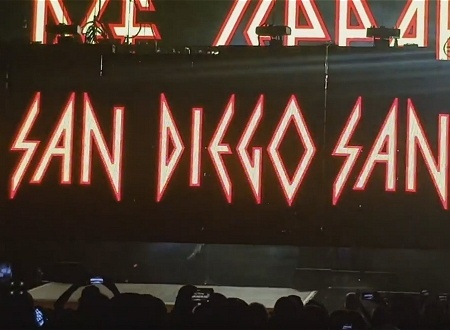 Def Leppard played another show with Journey on the 2018 North American tour last night in San Diego, CA with 16 songs performed. 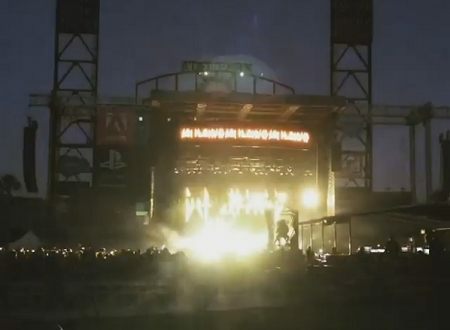 Def Leppard played another show with Journey on the 2018 North American tour last night in San Francisco, CA with 16 songs performed. 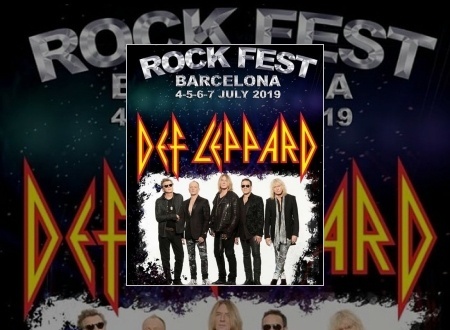 Def Leppard will headline the 2019 Rock Fest in Barcelona, Spain as part of their European tour. 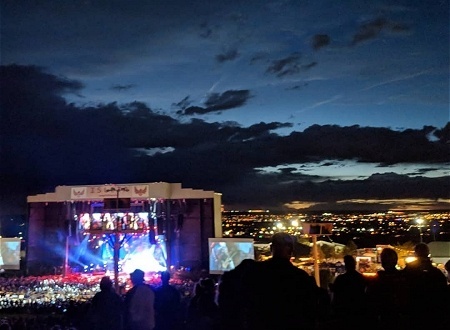 Def Leppard played another show with Journey on the 2018 North American tour last night in Albuquerque, NM with 16 songs performed. 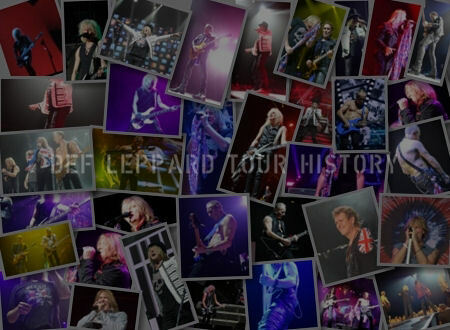 Def Leppard ended the third leg of their 2018 North American tour on 8th September and this story looks back all 16 shows. 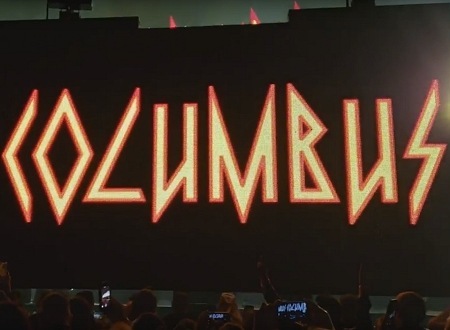 Def Leppard guitarist Phil Collen was recently interviewed by the Ohio press and mentioned the 2019 tour plans. 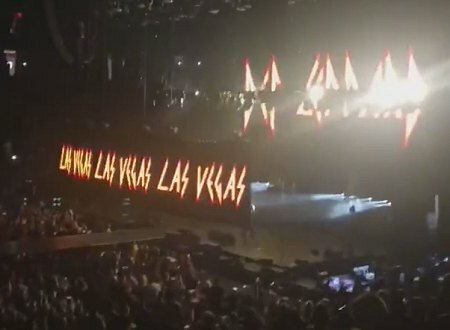 Def Leppard played another show with Journey on the 2018 North American tour last night in Las Vegas, NV with 16 songs performed. 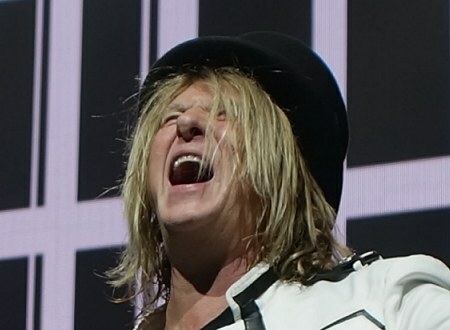 Def Leppard singer Joe Elliott has commented on the newly rescheduled Albuquerque, NM show and the postponement of the original date. 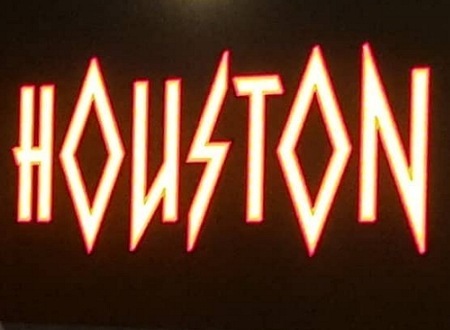 Def Leppard played another show with Journey on the 2018 North American tour last night in Houston, TX with 16 songs performed. 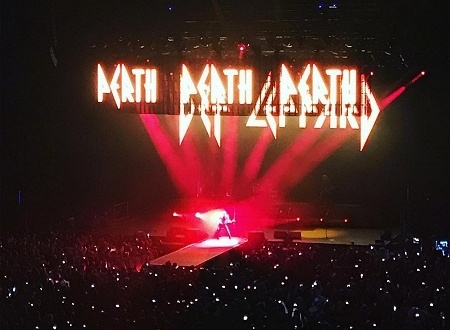 Def Leppard played another show with Journey on the 2018 North American tour last night in San Antonio, TX with 16 songs performed. 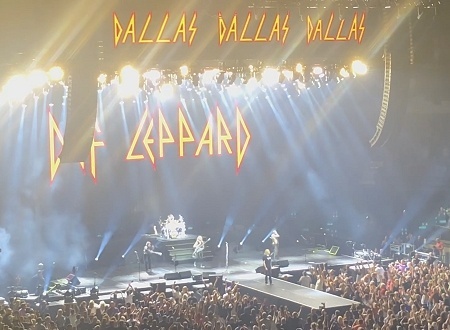 Def Leppard played another show with Journey on the 2018 North American tour last night in Dallas, TX with 16 songs performed. 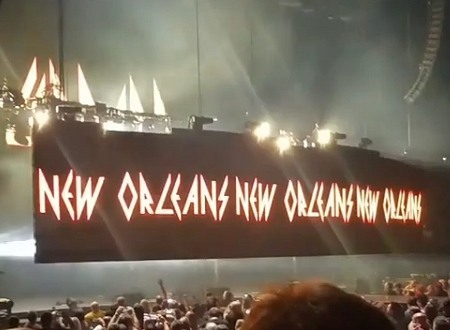 Def Leppard played another show with Journey on the 2018 North American tour last night in New Orleans, LA with 16 songs performed. 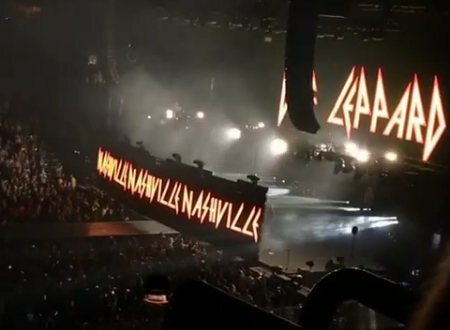 Def Leppard played another show with Journey on the 2018 North American tour last night in Nashville, TN with 16 songs performed. 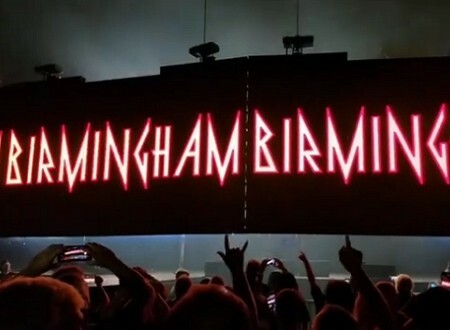 Def Leppard played another show with Journey on the 2018 North American tour last night in Birmingham, AL with 16 songs performed. 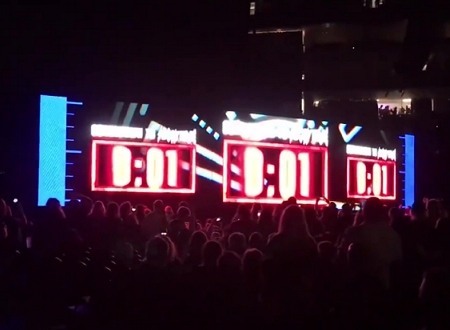 Def Leppard played another show with Journey on the 2018 North American tour last night in Tampa, FL with 16 songs performed. 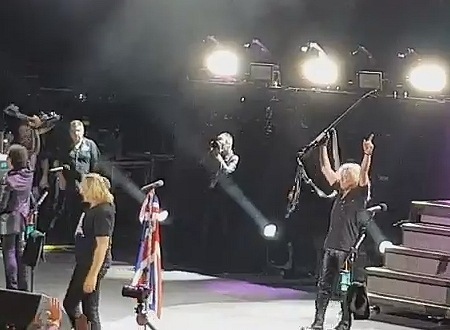 Def Leppard played another show with Journey on the 2018 North American tour last night in Sunrise, FL with 16 songs performed. 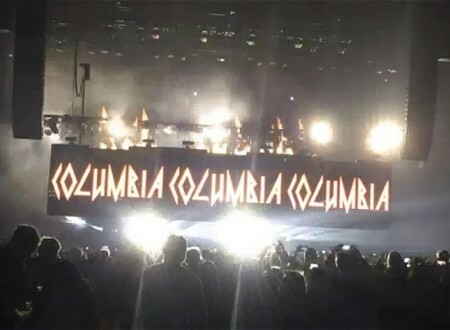 Def Leppard played another show with Journey on the 2018 North American tour last night in Columbia, SC with 16 songs performed. 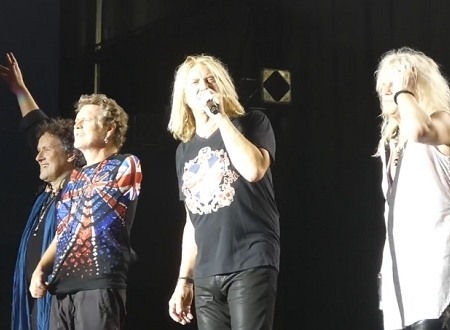 Def Leppard played another show with Journey on the 2018 North American tour last night in Virginia Beach, VA with 16 songs performed. 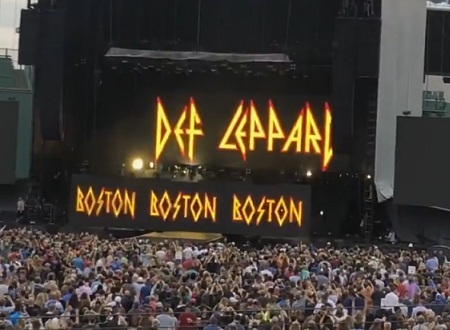 Def Leppard played another show with Journey on the 2018 North American tour last night in Boston, MA with 16 songs performed. 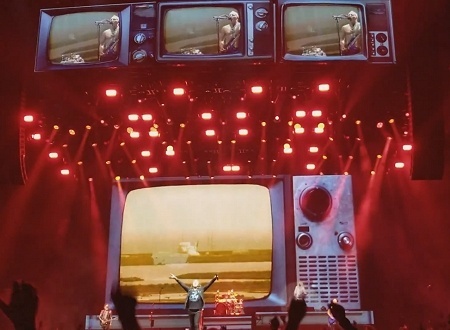 Def Leppard ended the second leg of their 2018 North American tour on 28th July and this story looks back all 17 shows. 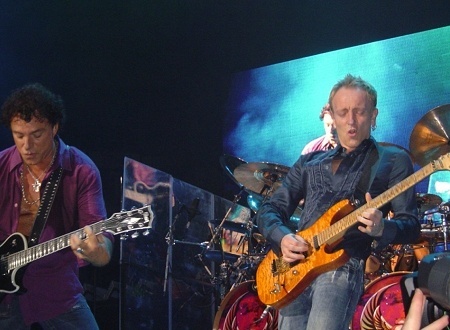 Def Leppard guitarist Vivian Campbell was interviewed by Colorado radio in July and mentioned his guitar playing. 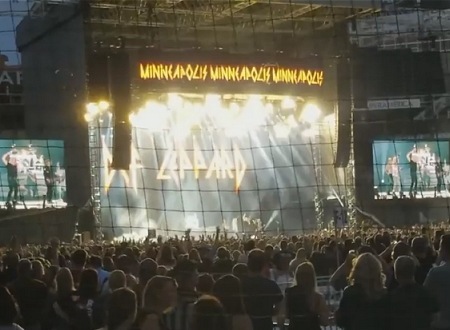 Def Leppard played another show with Journey on the 2018 North American tour last night in Fargo, ND with 16 songs performed. 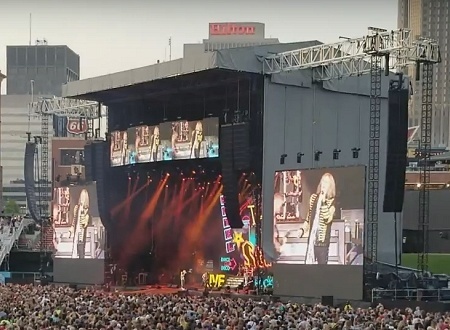 Def Leppard played another show with Journey on the 2018 North American tour last night in Minneapolis, MN with 16 songs performed. 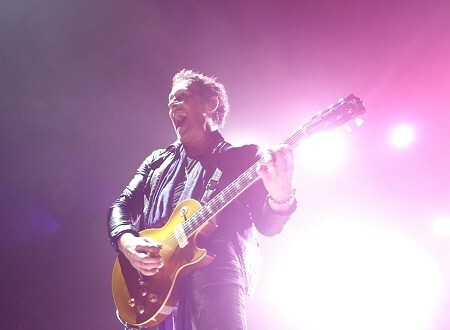 Def Leppard guitarist Vivian Campbell was interviewed by the New Zealand press in May and mentioned the 2018 Hysteria tour. 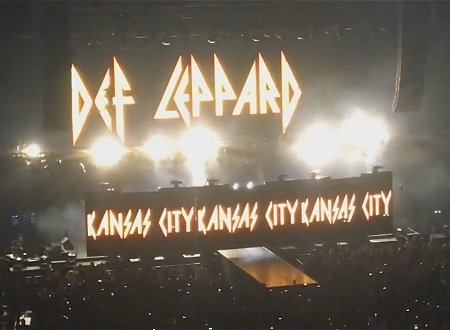 Def Leppard played another show with Journey on the 2018 North American tour last night in Kansas City, MO with 16 songs performed. Def Leppard played another show with Journey on the 2018 North American tour last night in Des Moines, IA with 16 songs performed. 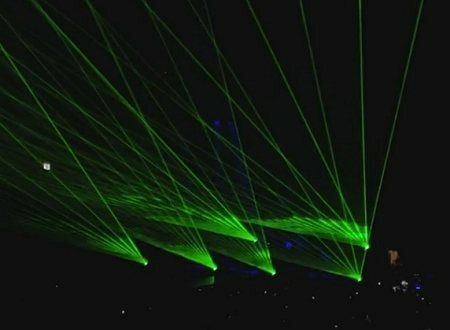 Def Leppard played another show with Journey on the 2018 North American tour last night in Denver, CO with 16 songs performed. 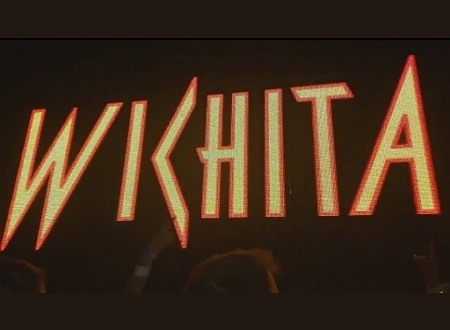 Def Leppard guitarist Vivian Campbell has been interviewed by South Dakota radio and mentioned the 2018 tour. 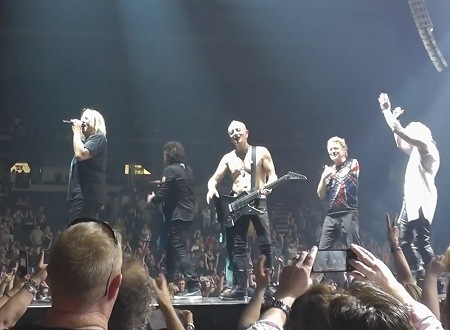 Def Leppard played another show with Journey on the 2018 North American tour last night in Lincoln, NE with 16 songs performed. 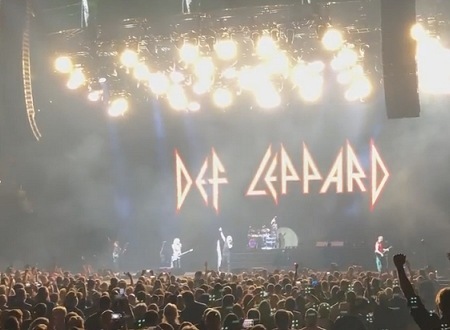 Def Leppard played another show with Journey on the 2018 North American tour last night in Sioux Falls, SD with 16 songs performed. 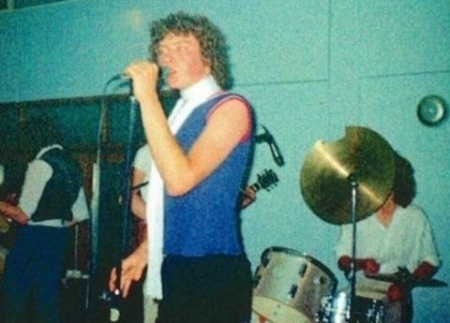 Def Leppard played their first ever public live show in Sheffield, England 40 years ago on this day in 1978. 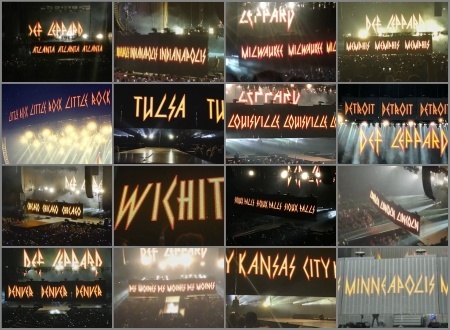 Def Leppard played another show with Journey on the 2018 North American tour last night in Wichita, KS with 16 songs performed. 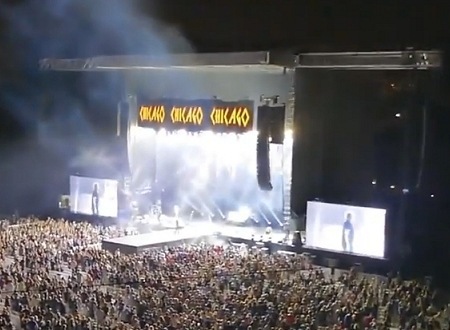 Def Leppard played another show with Journey on the 2018 North American tour last night in Chicago, IL with 16 songs performed. 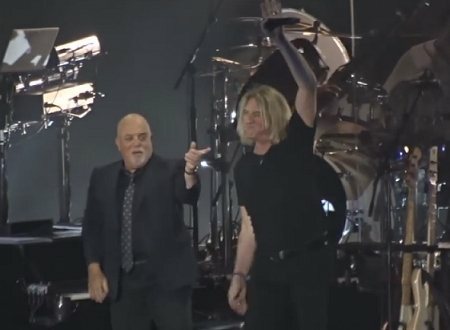 Def Leppard played another show with Journey on the 2018 North American tour last night in Detroit, MI with 16 songs performed. 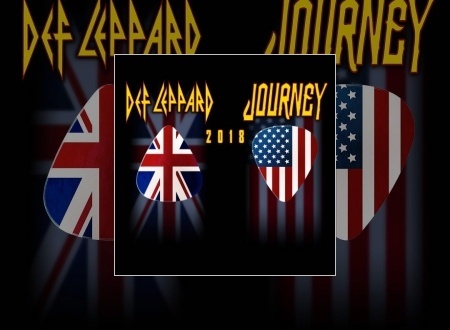 Def Leppard played another show with Journey on the 2018 North American tour last night in Louisville, KY with 16 songs performed. 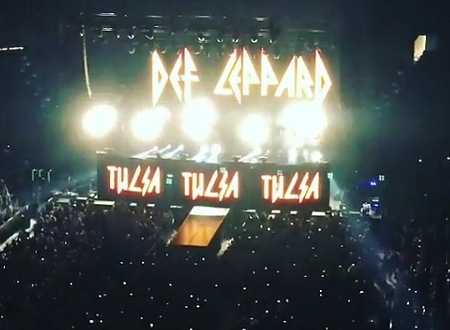 Def Leppard played another show with Journey on the 2018 North American tour last night in Tulsa, OK with 16 songs performed. 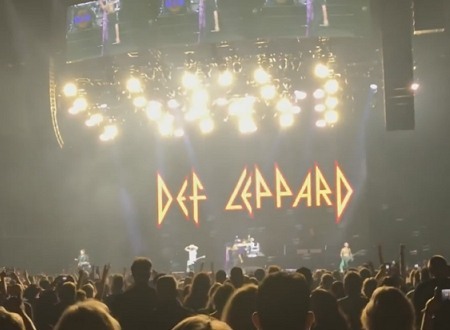 Def Leppard played another show with Journey on the 2018 North American tour last night in Little Rock, AR with 16 songs performed. 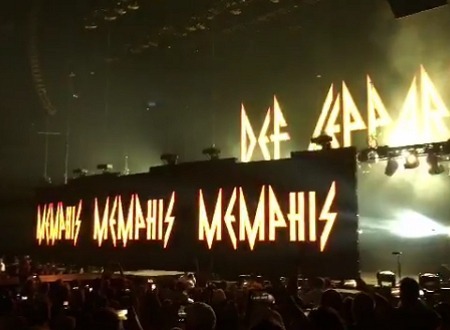 Def Leppard played another show with Journey on the 2018 North American tour last night in Memphis, TN with 16 songs performed. 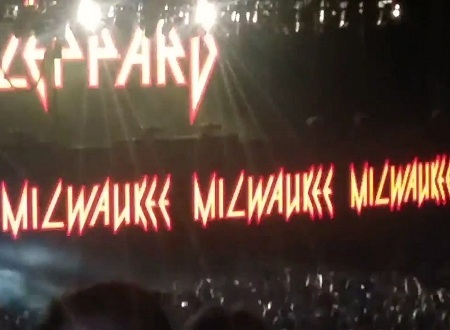 Def Leppard played another show with Journey on the 2018 North American tour last night in Milwaukee, WI with 16 songs performed. 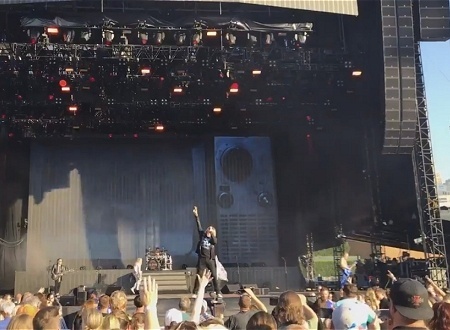 Def Leppard played another show with Journey on the 2018 North American tour last night in Noblesville, IN with 16 songs performed. Def Leppard played another show with Journey on the 2018 North American tour last night in Atlanta, GA with 16 songs performed. 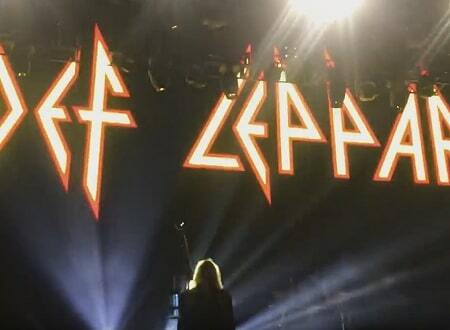 Def Leppard played a show in Newark, NJ on 15th June 2018 and more fan shot video footage is available. 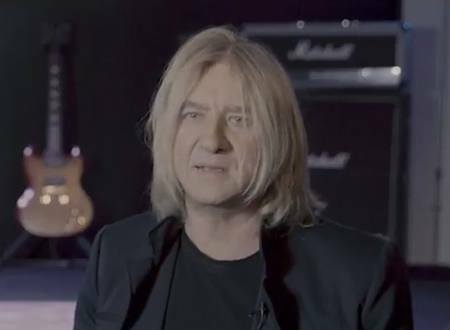 Def Leppard singer Joe Elliott has recorded a video message for Japanese fans ahead of the Hysteria tour which takes place in October. 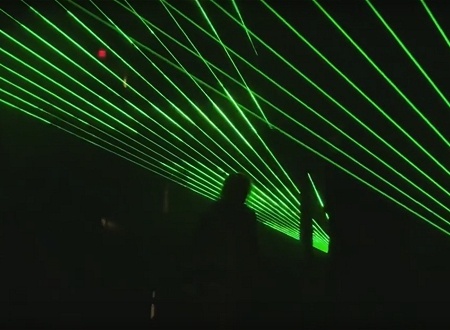 Def Leppard guitarist Phil Collen was interviewed in Milwaukee, WI in late February and yet more video footage is available. 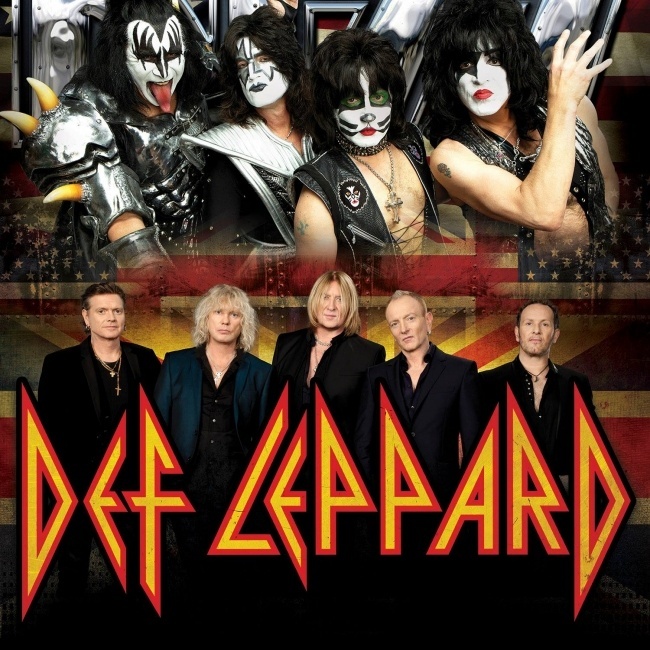 Def Leppard guitarist Vivian Campbell was interviewed by Baltimore radio and mentioned the 2018 tour. 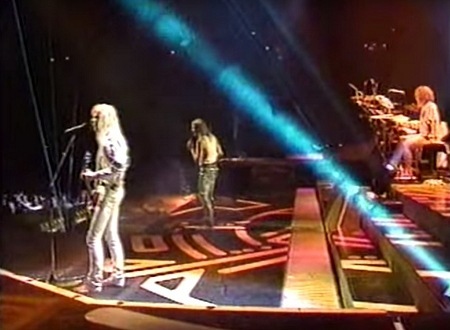 Def Leppard ended the first leg of their 2018 North American tour on 16th June and this story looks back at the first 16 shows. 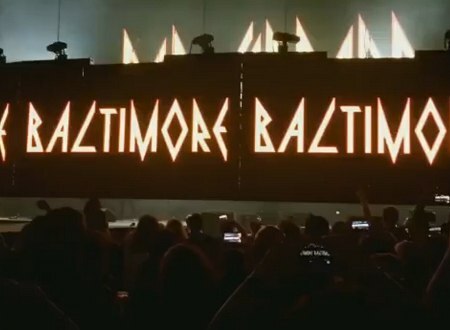 Def Leppard played another show with Journey on the 2018 North American tour last night in Baltimore, MD with 16 songs performed. 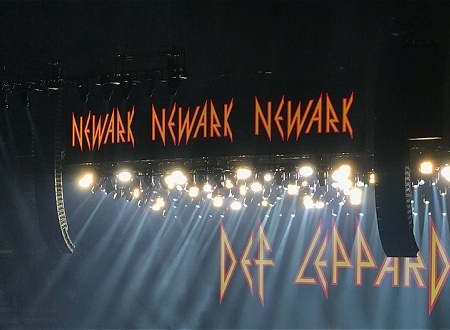 Def Leppard played another show with Journey on the 2018 North American tour last night in Newark, NJ with 16 songs performed. 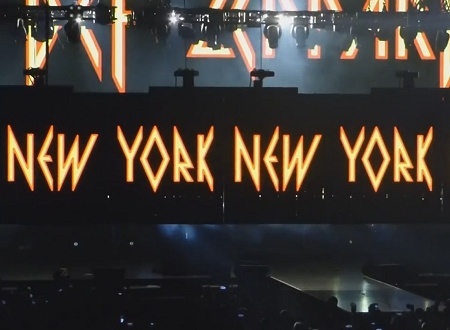 Def Leppard played another show with Journey on the 2018 North American tour last night in New York, NY with 16 songs performed. 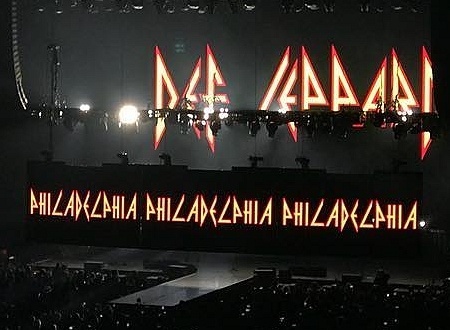 Def Leppard played another show with Journey on the 2018 North American tour last night in Philadelphia, PA with 16 songs performed. 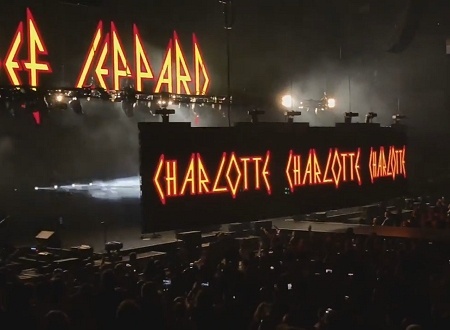 Def Leppard played another show with Journey on the 2018 North American tour last night in Charlotte, NC with 16 songs performed. 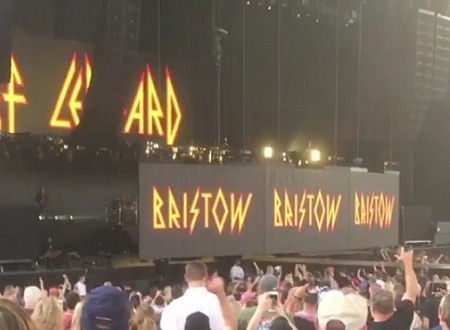 Def Leppard played another show with Journey on the 2018 North American tour last night in Bristow, VA with 16 songs performed. 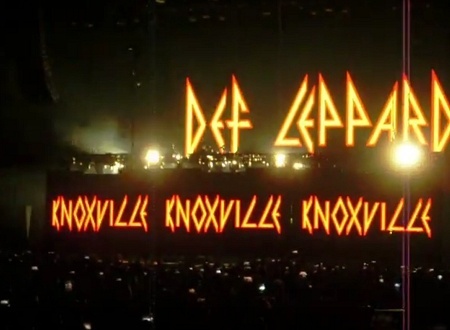 Def Leppard played another show with Journey on the 2018 North American tour last night in Knoxville, TN with 16 songs performed. 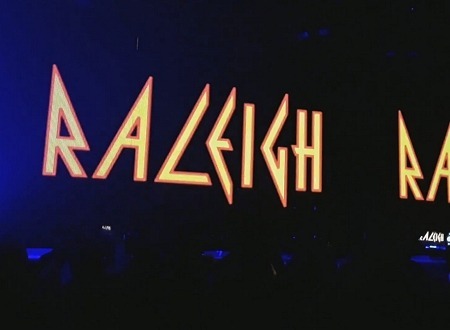 Def Leppard played another show with Journey on the 2018 North American tour last night in Raleigh, NC with 16 songs performed. 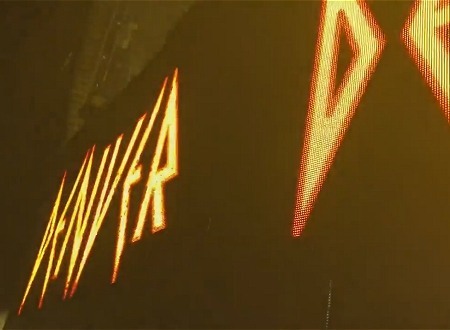 Def Leppard have today announced 3 new shows in Japan on the Hysteria tour to be played in October. 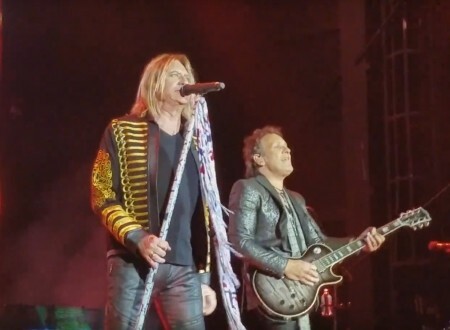 Def Leppard played another show with Journey on the 2018 North American tour last night in Pittsburgh, PA with 16 songs performed. 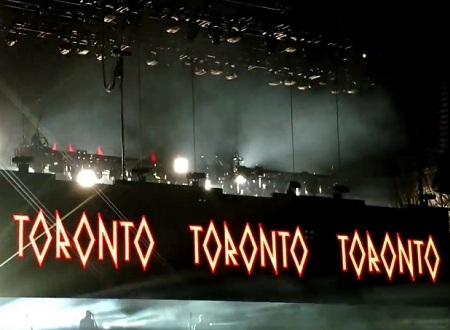 Def Leppard played another show with Journey on the 2018 North American tour last night in Toronto, ON with 16 songs performed. 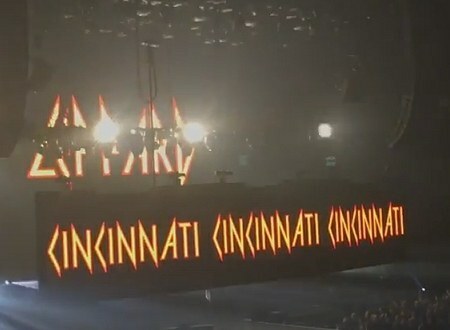 Def Leppard played another show with Journey on the 2018 North American tour last night in Cincinnati, OH with 16 songs performed. 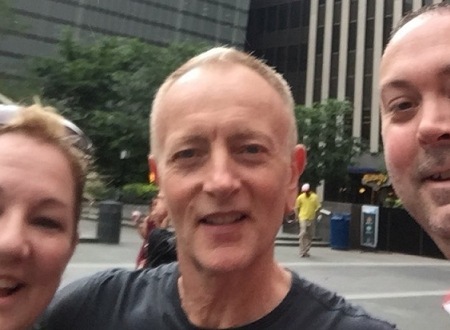 Def Leppard guitarist Phil Collen will rejoin the 2018 tour later tonight in Cincinnati, OH after missing three shows. 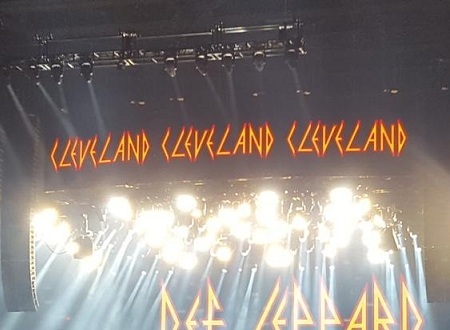 Def Leppard played another show with Journey on the 2018 North American tour last night in Cleveland, OH with 16 songs performed. 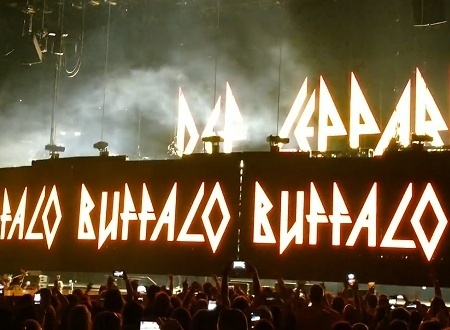 Def Leppard played another show with Journey on the 2018 North American tour last night in Buffalo, NY with 16 songs performed. 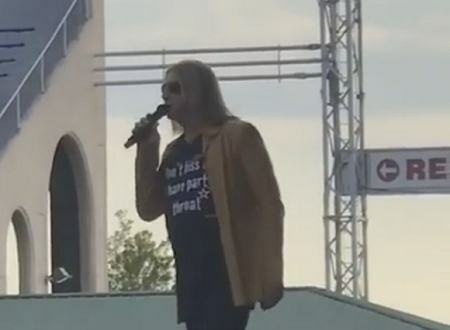 Def Leppard played another 2018 tour show in Hershey, PA last night and Joe made a pre-show announcement. 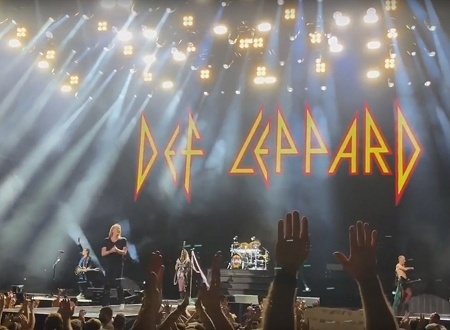 Def Leppard played another show with Journey on the 2018 North American tour last night in Hershey, PA with 16 songs performed. Def Leppard played another show with Journey on the 2018 North American tour last night in Albany, NY with 16 songs performed. 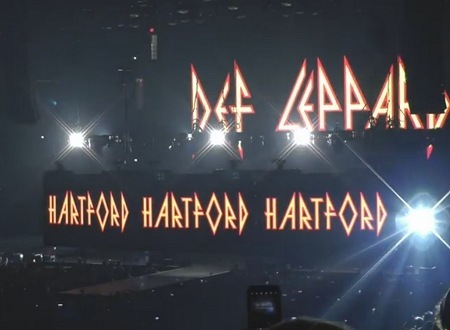 Def Leppard opened their 2018 North American tour with Journey last night in Hartford, CT with 16 songs performed. 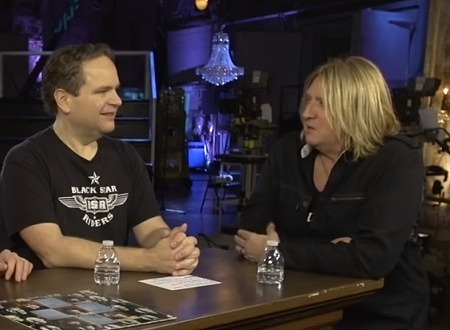 Def Leppard members Joe Elliott and Phil Collen were interviewed in New Jersey last week and the full audio is available. 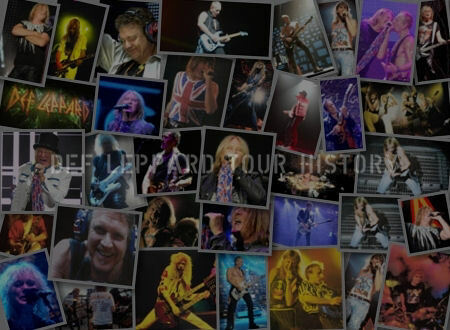 Def Leppard guitarist Phil Collen has been interviewed by Atlanta radio and the full audio is available. 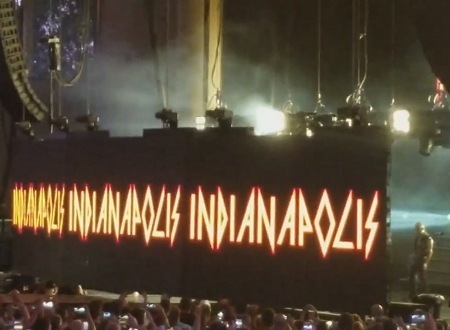 Def Leppard guitarist Phil Collen was interviewed by Indiana radio in April and the full audio is available. 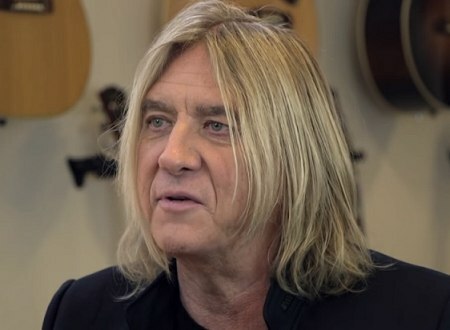 Def Leppard singer Joe Elliott has been interviewed by the New Zealand press to promote the upcoming Hysteria tour. 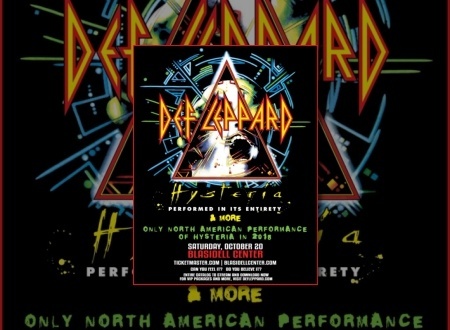 Def Leppard have added a second show in Honolulu, Hawaii for October playing the Hysteria album in full. 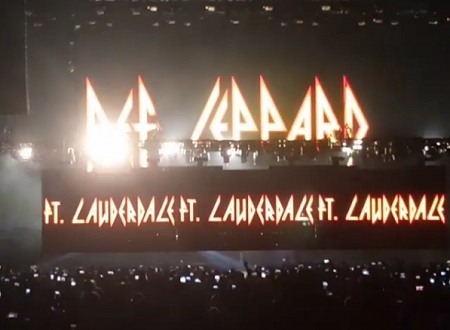 Def Leppard guitarist Vivian Campbell was interviewed by Louisiana radio yesterday with the full audio available. 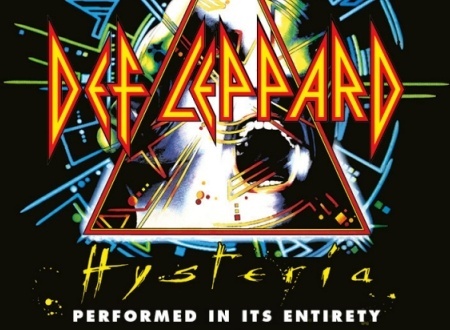 Def Leppard guitarist Phil Collen has been interviewed by New York radio and mentioned the 2019 Hysteria tour. 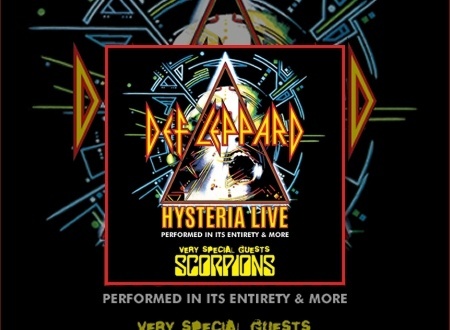 Def Leppard have today announced six new shows in Australia and New Zealand with the Scorpions on the Hysteria tour. 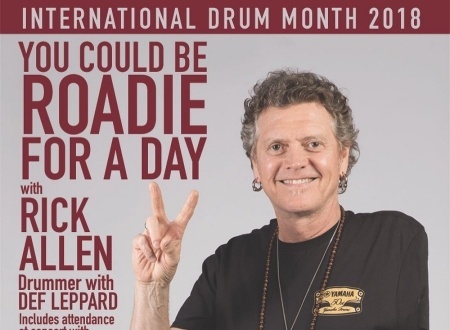 Play Drums is giving fans the chance to be a roadie for Def Leppard drummer Rick Allen on the upcoming North American tour. 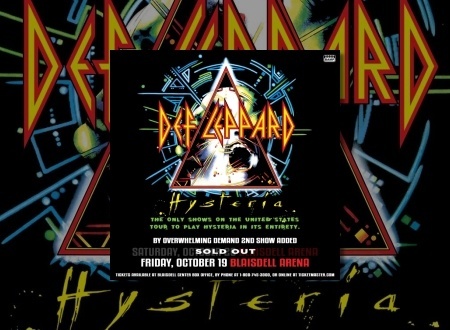 Def Leppard have today announced a new show in Honolulu, Hawaii for October playing the Hysteria album in full. 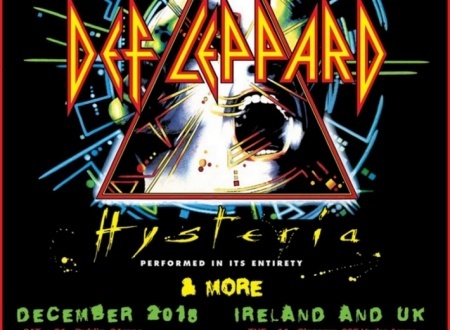 Def Leppard guitarist Phil Collen was interviewed in California recently and revealed more about the 2018 Hysteria tour. 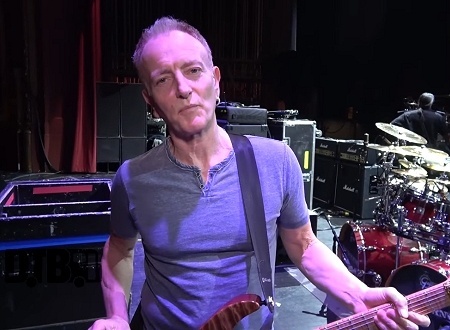 Def Leppard guitarist Phil Collen was interviewed in Milwaukee, WI in late February and the full video is now available. 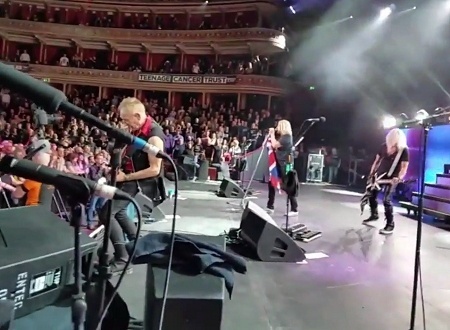 Def Leppard performed their first concert at London's Royal Albert Hall on 25th March and three songs have been released to UK radio. 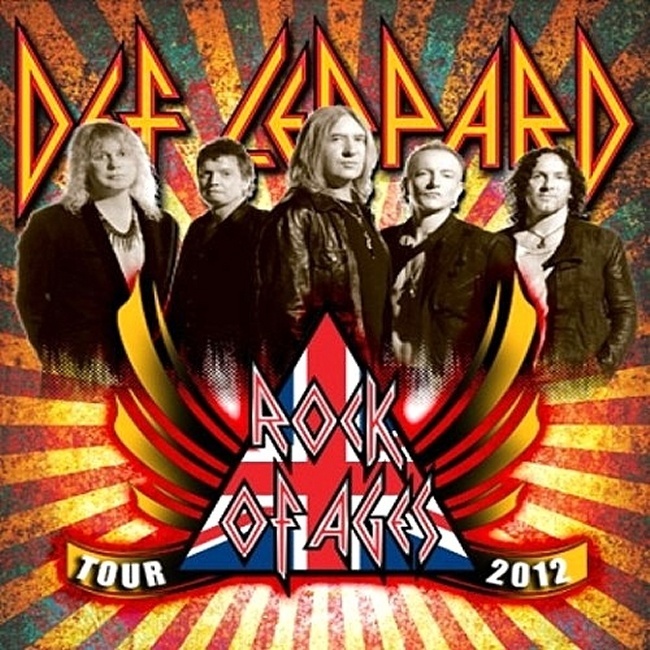 Def Leppard played a show at London's Royal Albert Hall on 25th March and Joe Elliott aired a live track on his radio show earlier tonight. 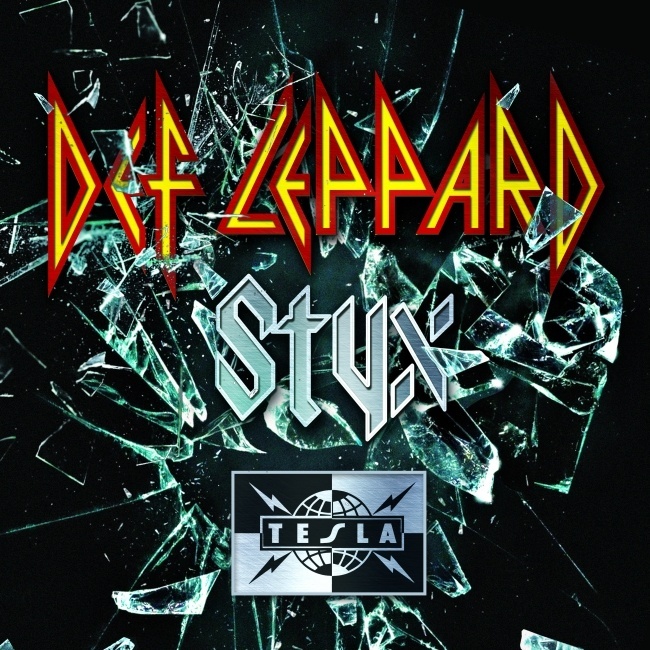 Def Leppard/Journey will play a second show in Los Angeles, California this October on their co-headline tour. Def Leppard guitarist Phil Collen was interviewed last month by Arkansas radio and mentioned the US tour. 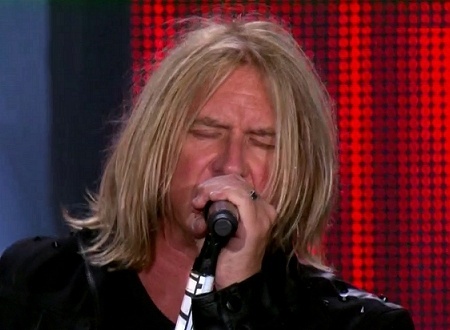 Def Leppard singer Joe Elliott performed at The SAMMYS concert event and awards show on 8th March in Orlando, Florida with new performance footage available. 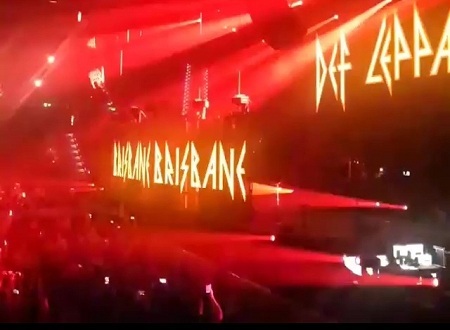 Def Leppard played their first show of 2018 last night in London, England with 18 songs performed. Def Leppard guitarist Phil Collen has been interviewed by Idaho radio and mentioned the 2018 North American tour. 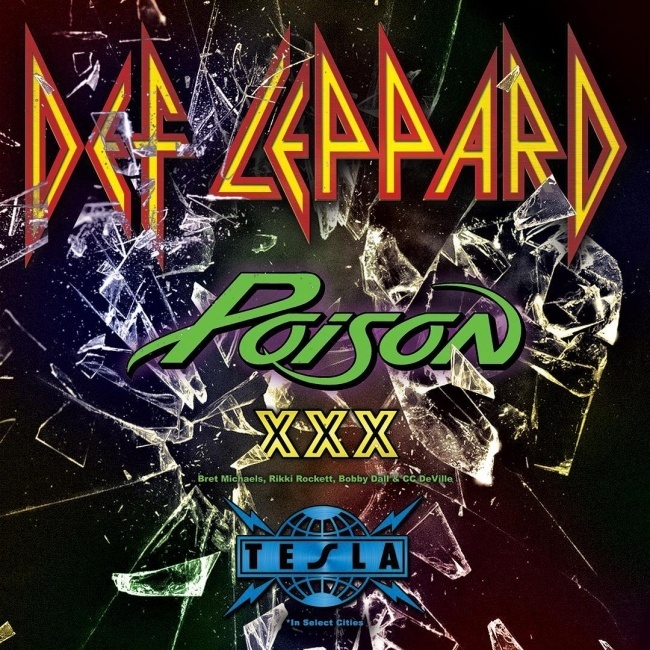 Def Leppard guitarist Phil Collen has been interviewed by Florida radio and mentioned the 2018 tour setlist. 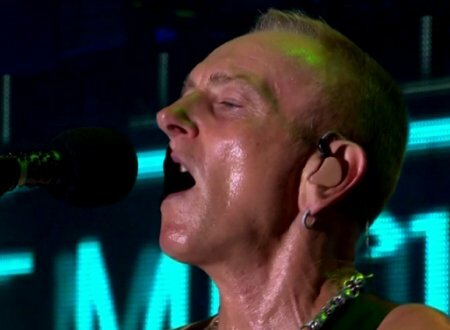 Def Leppard guitarist Phil Collen was recently interviewed and mentioned the 2018 tour setlist. 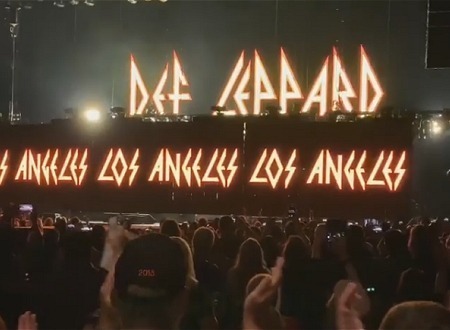 Def Leppard guitarist Phil Collen was recently interviewed and mentioned the 2019 tour. 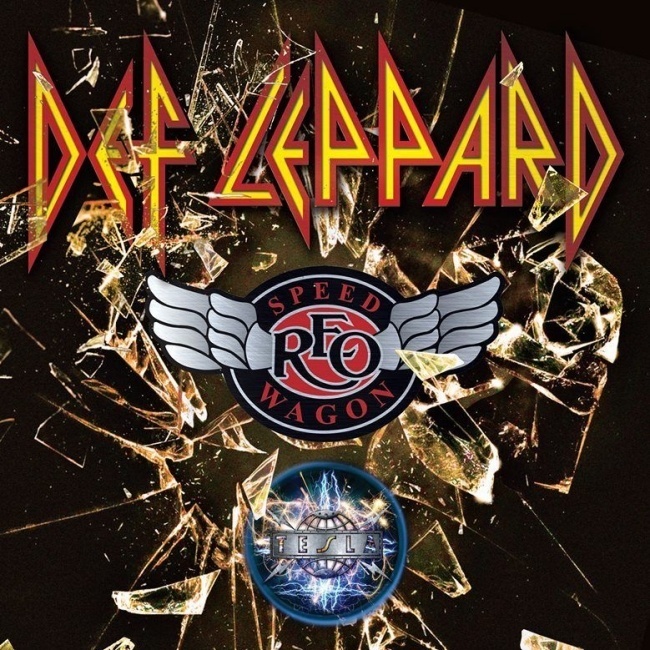 Def Leppard guitarist Phil Collen was recently interviewed on Missouri radio and spoke about the upcoming tour with Journey. 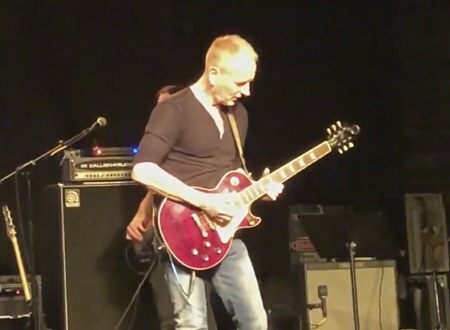 Def Leppard guitarist Phil Collen performed at WesFest 13 in Los Angeles, CA on 8th March with photos/videos available. 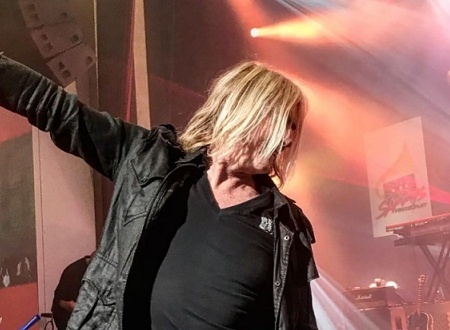 Def Leppard singer Joe Elliott performed at The SAMMYs concert event and awards show on 8th March in Orlando, Florida with photos/videos available. 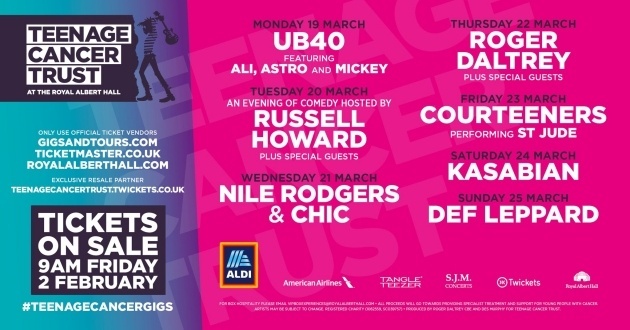 Def Leppard are playing a March 25th concert at London's Royal Albert Hall for the Teenage Cancer Trust and a support act has been added. Def Leppard guitarist Phil Collen was recently interviewed and spoke about the upcoming tour with Journey. 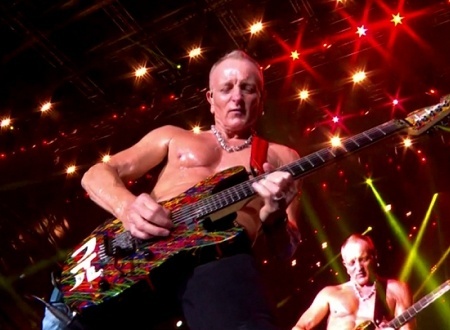 Def Leppard guitarist Phil Collen was recently interviewed and spoke more about the 2018/2019 touring schedule. 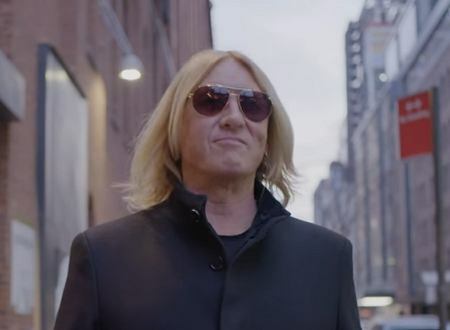 Def Leppard singer Joe Elliott has taken part in a new tour promo video with Journey's Neal Schon with video available. 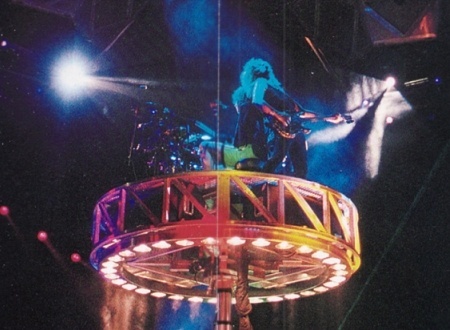 Def Leppard drummer Rick Allen recent took part in a Q And A and was asked about bringing back the In The Round stage. 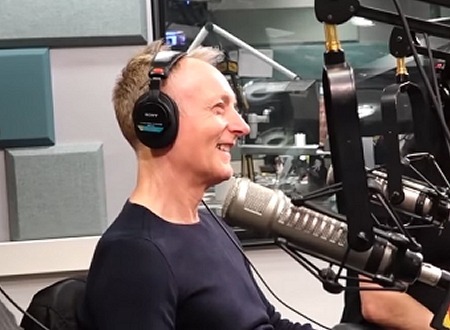 Def Leppard guitarist Phil Collen was interviewed by New Jersey radio last week and the full audio is available. 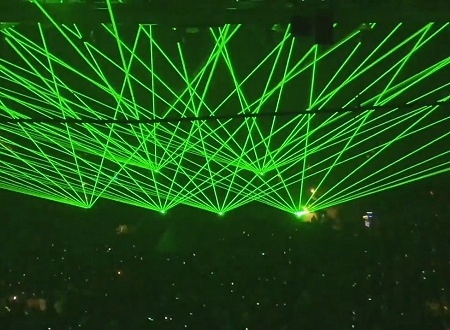 Def Leppard guitarist Phil Collen has said the band plan to use lasers again during the upcoming 2018 tour. 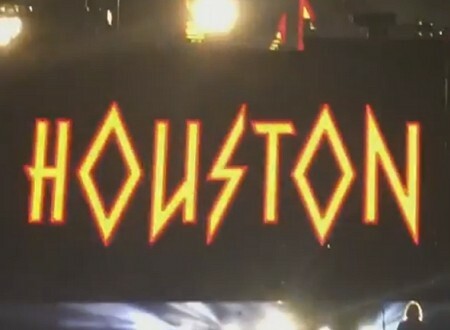 Def Leppard/Journey will play a second show in Houston, Texas this September on their co-headline tour. 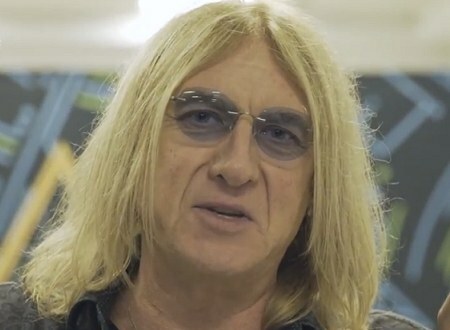 Def Leppard singer Joe Elliott has filmed another video interview to promote the UK Hysteria tour. 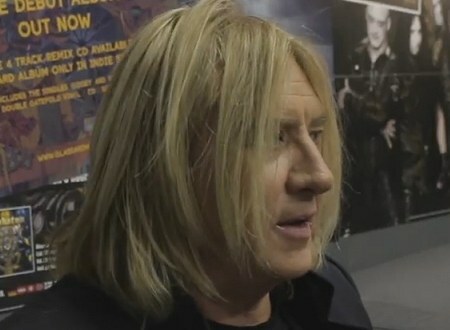 Def Leppard singer Joe Elliott has been interviewed about the UK Hysteria tour and video is available. 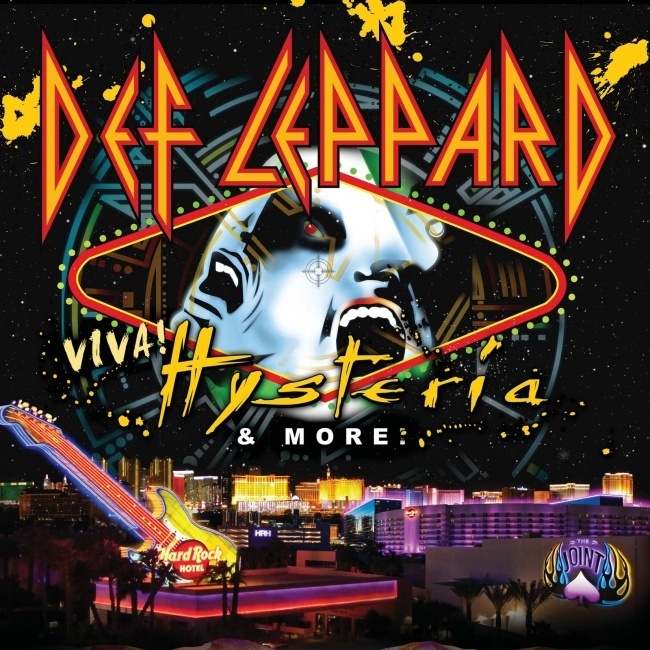 Def Leppard guitarist Phil Collen was interviewed yesterday by New York radio and mentioned the 2018/2019 Hysteria album tour. Def Leppard guitarist Phil Collen was interviewed by Florida radio this morning and the full audio is available. 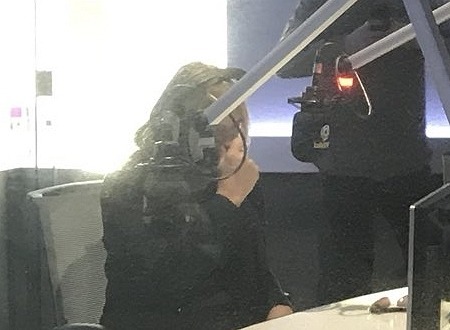 Def Leppard singer Joe Elliott was recently interviewed in London and the full video is available. 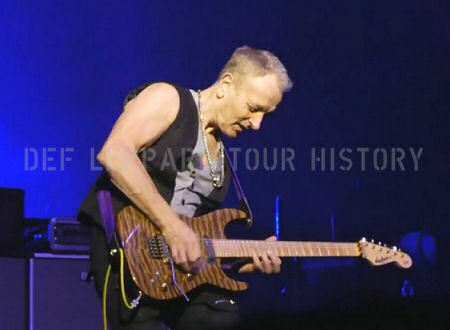 Def Leppard guitarist Phil Collen has been interviewed by the Tampa press and mentioned a Japanese Hysteria tour. 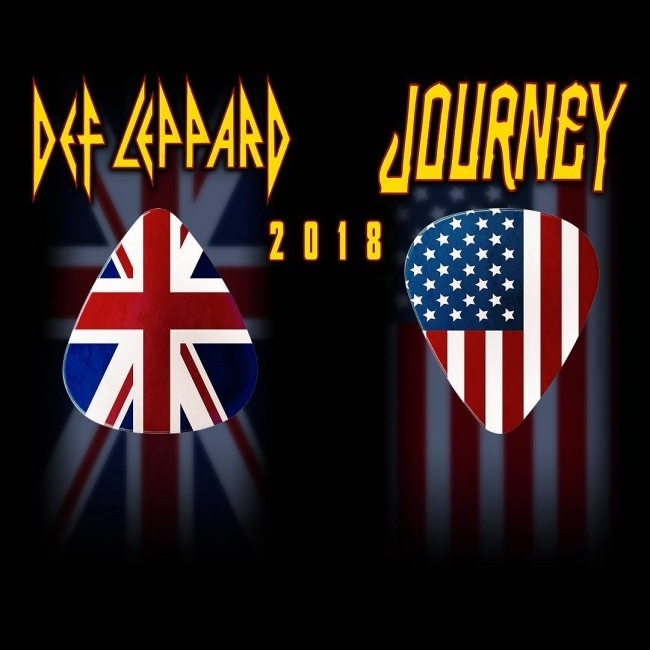 Tickets for Def Leppard's 2018 North American tour with Journey are now on general sale. 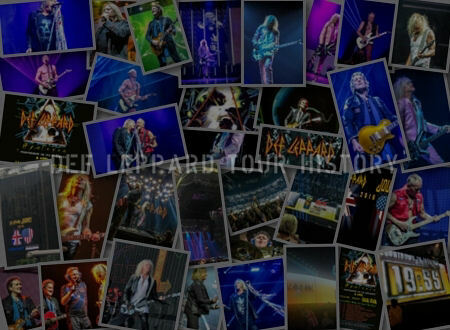 Def Leppard's March 25th concert at London's Royal Albert Hall for the Teenage Cancer Trust is now on sale. 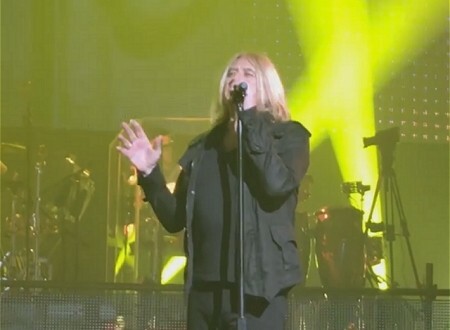 Def Leppard singer Joe Elliott was interviewed by local TV abut the 2018 North American tour and video is available. 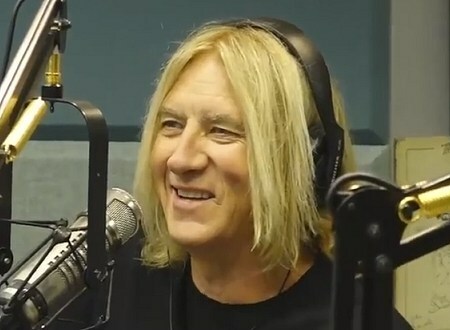 Def Leppard singer Joe Elliott was interviewed on New York radio today about the 2018 tour and video is available. 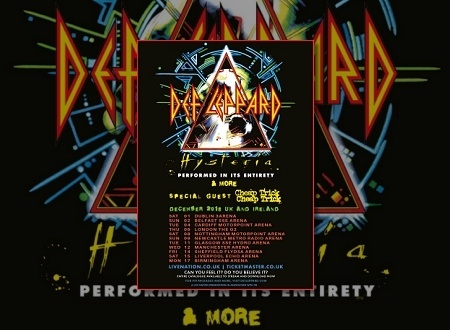 Def Leppard confirmed their 2018 tour dates earlier today for the USA/Canada and UK/Ireland with many new venues being played. 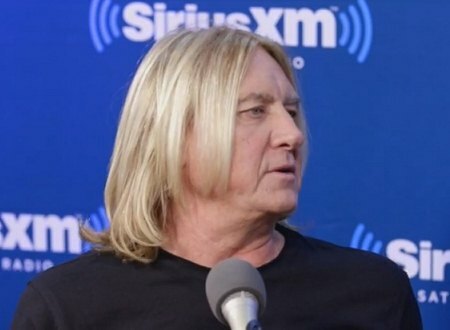 Def Leppard singer Joe Elliott is currently in New York City to announce the 2018 tour alongside members of Journey. Def Leppard's upcoming world tour will be played over two years in 2018 and 2019 according to a new Phil Collen interview. Def Leppard have teased an announcement of the 2018 Hysteria world tour which is due later this week. 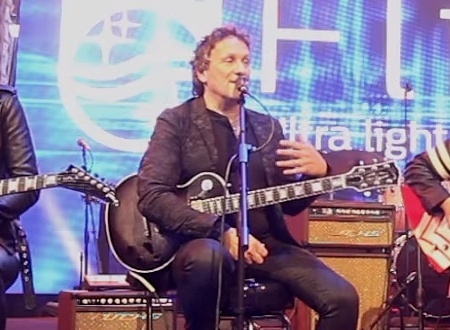 Def Leppard guitarist Vivian Campbell attended the CES show in Las Vegas and gave an update on the 2018 tour announcement. 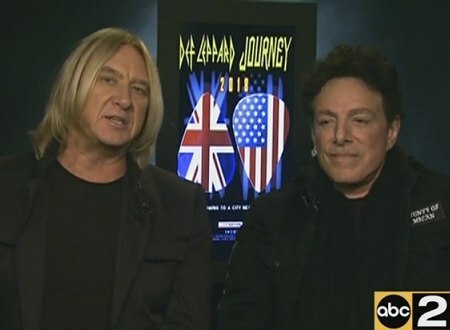 The Def Leppard 2018 tour with Journey is still on and will be announced soon according to their guitarist Neal Schon. 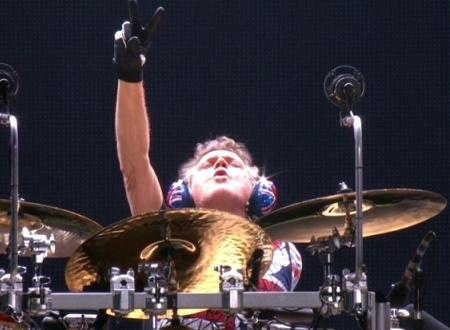 Def Leppard drummer Rick Allen was recently interviewed in New York and gave an update on the 2018 tour. 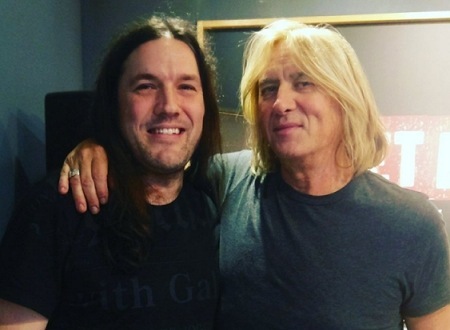 Def Leppard singer Joe Elliott appeared on Planet Rock on New Year's Eve and mentioned some 2018 tour news.